One day after the 60th anniversary of the Montgomery bus boycott, civil-rights groups charge Alabama with violating the Voting Rights Act. Yesterday marked the 60th anniversary of the Montgomery bus boycott, launched when Rosa Parks refused to move to the back of a segregated bus. Ten years before her historic act of civil disobedience, Parks tried to register to vote. She was denied three times and had to pass a literacy test and pay a poll tax before finally registering. Ten years after the bus boycott, Parks helped lead the historic march from Selma to Montgomery and attended the signing of the Voting Rights Act of 1965. Today civil-rights groups—led by the NAACP Legal Defense Fund on behalf of the Alabama NAACP—filed suit against the state’s voter-ID law, arguing that it violates Section 2 of the VRA. The complaint alleges that the law will disenfranchise 280,000 registered voters without government-issued ID but there has been only 1 case of voter impersonation in Alabama out of 22.4 million votes cast since 2000 to justify the measure. Despite the large number of people without voter ID, the state has issued only 6,736 voter ID cards in the last two years. African-American and Latino voters are less likely than white voters to possess the required photo IDs; (2) African-American and Latino voters face greater obstacles than do white voters in obtaining the required photo IDs; and (3) on information and belief, the photo ID requirement has disproportionately disfranchised African-American and Latino voters. It is no accident that a disproportionate number of those disfranchised voters are African-American and Latino. 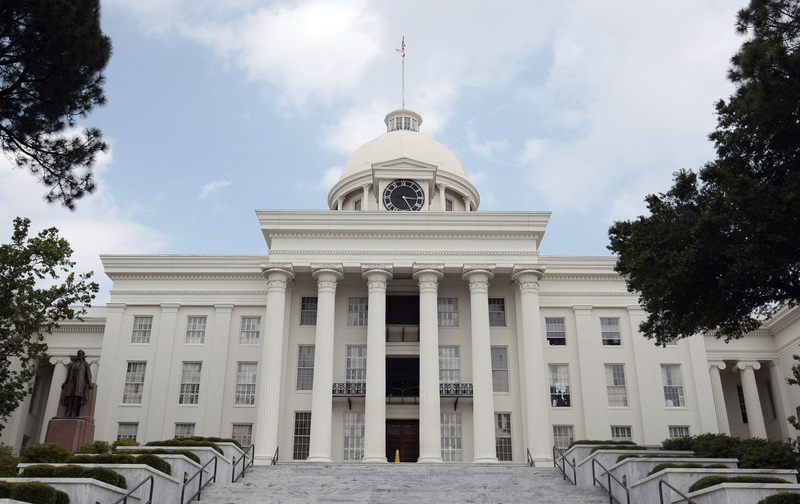 Indeed, the Photo ID Law is simply the latest chapter in Alabama’s long and brutal history of intentional racial discrimination. For five decades, Alabama’s use of discriminatory voting schemes has necessitated repeated federal intervention. Now, Alabama again seeks to disfranchise thousands of African-American and Latino voters—all in the name of “curing” a voter fraud problem that does not exist. G.A. is a U.S. citizen and resident of Franklin County, Alabama. G.A is Latina, a full-time student, and a senior in high school. When G.A. turns eighteen in December 2015, she will be eligible to register to vote, and she intends to register to vote. She also plans to vote in the 2016 elections. However, G.A. does not have a driver’s license or any of the other required photo IDs. G.A. is also not personally acquainted with the election officials at her anticipated polling place. The closest driver’s license issuing office to G.A. is only open one day a month. The next closest is located in Sheffield, an approximately 45-mile drive roundtrip, and is only open from 8 am to 4:30 pm on weekdays. G.A. does not own a car, nor has she ever driven one. Her parents have access to vehicles, but both parents work full-time and are unable to drive G.A. to Sheffield during that ALEA office’s normal hours. For example, her father leaves for work as early as 4:00 am and works up to twelve hours or more per day. There is no public transportation from Franklin County to Sheffield. It would be unduly burdensome for G.A. or her parents to take time off from work or school to go to the ALEA offices in Sheffield or Franklin County during those offices’ limited hours of operation. The work of Rosa Parks and so many others remains far from finished in the birthplace of the VRA.